Andrew Burges studied architecture at the University of Sydney, where he graduated with first class honours and the University Medal in 1992. As the recipient of the Frank Knox Fellowship to Harvard University, the Byera Hadley Travelling Scholarship, and the University of Sydney Hezlet Bequest, Andrew completed a Master of Architecture at Harvard University’s Graduate School of Design, graduating with Distinction in 1996. Andrew has 25 years’ experience in architectural practice, including 15 years as principal of Andrew Burges Architects. Prior to forming his practice in 2001 Andrew worked in firms in Sydney, New York and Boston, developing expertise in large scale urban master planning and urban housing proposals, civic and sporting structures associated with the 2000 Sydney Olympics, and school campus planning. In his role as a design architect at Bruce James and Partners, Andrew was responsible for the winning entry of the Sydney Olympic Village Competition. While working as a design architect at Bligh Voller Nield (BVN) Andrew worked successfully on competition-winning multi-residential designs for the International Gardens Park and Four Seasons Development in Pudong, China and the Centre for Christianity and Culture in Canberra. Andrew’s work in practice as principal of ABA has been published extensively and exhibited both locally and internationally, including the 2008 Venice Biennale, and the 2005 ‘Out From Under: Contemporary Australian Architecture Now’, exhibition in San Francisco, Seattle, Hong Kong and China. More recently ABA were the inaugural winner of the Think Brick Open Face competition 2011, shortlisted in the Australia House Competition in Japan, 2011, and the winner of City of Sydney’s International Design Competition for the Gunyama Park Aquatic and Recreation Centre. In parallel to his work in practice Andrew has extensive experience in architectural education in both Australia and the United States. Andrew was an adjunct professor at Rhode Island School of Design between 1997-2000, has 10 years experience teaching graduation studios at University of Sydney and University of New South Wales, and has been a regular design critic at Harvard University, Columbia University, and Rhode Island School of Design in the US, as well as University of Sydney, University of New South Wales, and University of Technology, Sydney. 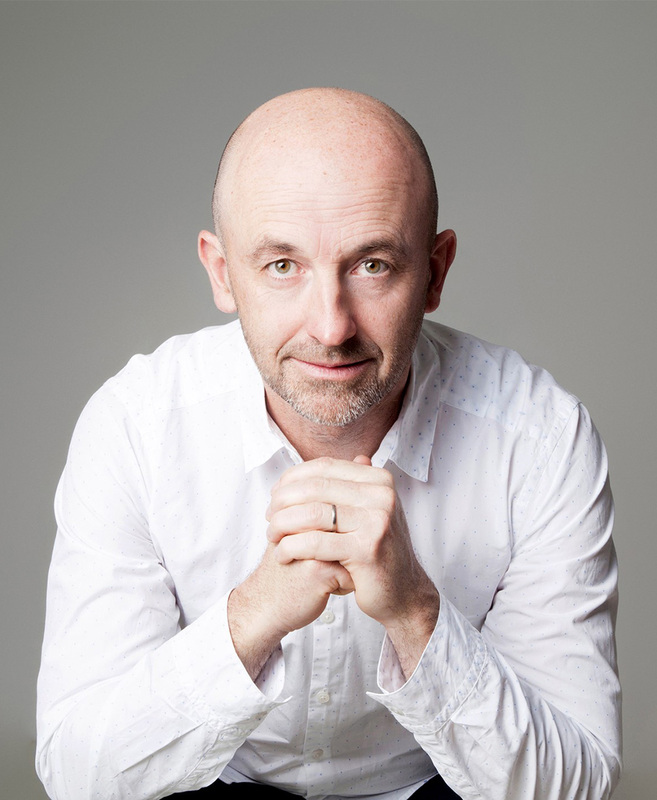 Andrew has been a member of the Australian Institute of Architects since 1994, and has been a registered architect since 2003 (#6918 NSW Architects Registration Board). Chris joined ABA in 2013 following a period of travel after his studies at the University of Newcastle, where he graduated with first class honours and the University Medal in 2012. As well as being a University medallist, Chris’s exceptional record as a student included winning the Dean’s Medal for Architecture, the AIA Master Graduate of the year, the AIA Construction and Practice Prize and the NSW Architect Registration Board’s Architects Medallion. He also received commendation in both the NSW Design Medal and the Glenn Murcutt Prize. At ABA Chris has worked across a broad range of projects including the design, documentation and visualisation of residential, public and educational projects. Chris played a pivotal role in the successful competition entries for the two stage Gunyama Park Aquatic and Recreation Centre international competition, and continues to work on our winning entry through schematic and design development. Chris brings a creative and very thorough eye to both the concept and documentation stages of projects, and has a strong interest in the intersection of design and construction in a projects development. Chris also has a strong focus on the incorporation of visualisation technologies for conceptualising a projects spatial and material resolution. Prior to joining Andrew Burges Architects in 2013, Chris worked at FJMT on ANZ Tower and at Webber Architects on residential projects. (#10358 NSW Architects Registration Board). After an initial period working for ABA in 2002 and 2003, Min rejoined ABA in 2015. Min is an experienced project architect with very strong design capabilities and the capacity to rigourously and thoughtfully develop concept ideas from a project’s beginning to its construction delivery. Min is experienced in the development of detailed construction packages, and on site administration through construction. Prior to rejoining ABA, Min has gained valuable experience as a project architect on high end residential projects at MCK Architects, Welsh + Major, and Tobias Partners, including several projects shortlisted for architecture awards. In parallel to Min’s work in practice she has gained extensive experience teaching in undergraduate architecture studios at the University of Sydney and at UNSW. In private practice her entry into the Waseda Architecture Design Competition for a ‘Super Mini House’ in Tokyo was shortlisted in 2010. Min studied architecture at the University of Newcastle, graduating with first class honours in 1997. (#10145 NSW Architects Registration Board). Louise initially joined ABA as a student in 2006, and after completing her Master of Architecture at Aarhus School of Architecture in Denmark in 2008, rejoined ABA after graduation. Louise has worked as a project leader on numerous high-end residential projects within the office, including several projects shortlisted for awards. Louise is experienced across all phases of architectural design, and brings particular expertise in managing projects in the contract documentation and contract administration phase, including all aspects of construction stage works. In her role as the project leader for park works and Green Star Co-ordinator for the $65m Gunyama Park Aquatic and Recreation Centre, Louise has further developed her capacity to work with and manage a large consultant team in the area of environmental initiatives and urban design and park landscape design. Louise also has experience at Bligh Voller Nield (BVN) in Sydney, where she assisted with tender documentation for a Plant Bank in the Mt Annan Botanical Gardens, including a large research centre with public visitation facilities and landscaping works. Antje studied architecture at the University of Hanover, University of Sydney and Technical University of Berlin, graduating in 2006. During her architectural studies, Antje undertook internships at Alex Popov Architects in Sydney and Carre D'Arch in Paris. Following graduation, Antje returned to Sydney, where she worked at Casey Brown Architecture. During this time she worked as a project architect on award winning high-end residential projects. Antje joined ABA in 2018 and has been working on residential projects in Bondi and Clovelly. Regan studied architecture at the University of Technology, where he graduated with a Masters of Architecture in 2011. During his studies he received the AIA Graduate Design Medal 2011 from the Australian Institute of Architects. Following graduation he moved to Los Angeles to work at Gehry Partners, initially as an intern and later in an ongoing permanent position. Regan has recently returned from London, where he worked at David Kohn Architects and Foster and Partners. Prior to moving to the UK, he worked in Landscape at ASPECT Studios and Grimshaw. Regan joined ABA in 2017 and has been working on Gunyama Park Aquatic and Recreation Centre at Green Square. Cameron studied architecture at Auckland University and Victoria University of Wellington, graduating with a Masters of Architecture (Professional) in 2015. He is currently undertaking an online course in Architectural Imagination through Harvard University edX. Following a move to Sydney from New Zealand, Cameron joined ABA in 2017. Previously he worked at Glamuzina Architects and JASMAX Architects, where he worked on retail, residential and commercial projects. Peter studied architecture at the University of Sydney, graduating with a Masters in Architecture in 2014. During his Masters, he studied abroad at Aarhus Arkitektskolen in 2013. He was shortlisted for the AIA Graduate Award in 2014, USYD George McRae Prize for Architecture Construction in 2013 and USYD Undergraduate Excellence Scholarship. Prior to joining Andrew Burges Architects in 2018, Peter worked at FJMT where he gained experience working on a range of large scale projects including acting as site architect for a commercial project during construction. Prior to working at FJMT, he worked at a small architectural firm where he had a wide range of responsibilities. Peter has recently returned from 11 months of travelling and working in remote areas of Australia and has returned to practice with a fresh perspective on the broader context of architecture. Camilla studied architecture at the University of Sydney, graduating with a Masters in Architecture in 2017. During her studies, she went on exchange to Lund University, Sweden. Prior to joining ABA in 2017, Camilla worked at Tanner Kibble Denton Architects and honbriggsdesign. In 2014 she was an architectural intern at United Nations Headquarters (UNHQ) in New York, where she assisted with Sandy restoration project, upgrade of the Secretariat Building and space planning across New York campus. While at ABA, Camilla has assisted on residential projects in Bondi, Surry Hills and Woollahra. Eric studied architecture at the University of Technology, Sydney, graduating with a Masters in Architecture in 2018. He studied abroad in Denmark while undertaking his bachelors degree. Eric received the 2018 Architect’s Medallion which is awarded each year by the NSW Architects Registration Board to a graduate of the Master of Architecture course in NSW who has achieved distinction generally throughout the final two years of the course. 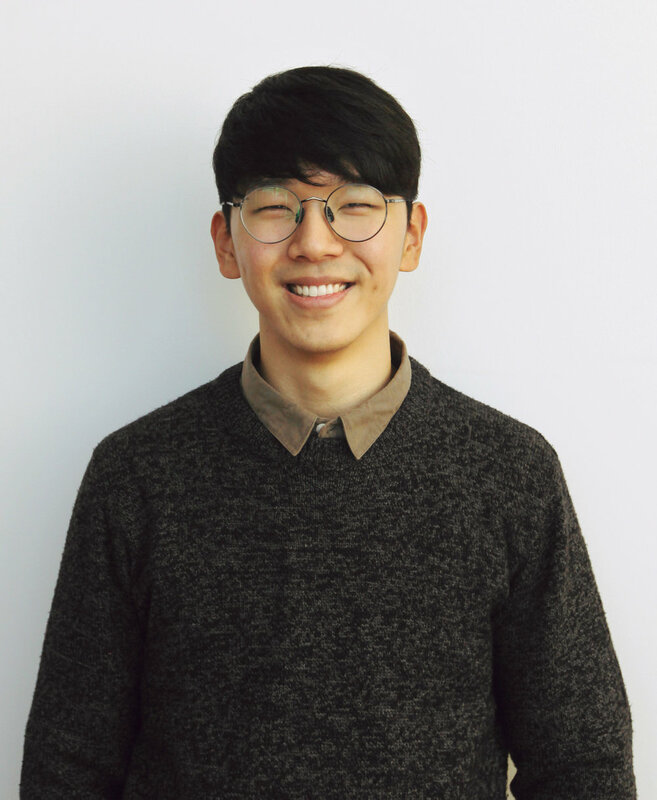 Additionally he was 2018 UTS Graduate of the Year which is awarded by the NSW AIA Chapter. Prior to joining Andrew Burges Architects in 2015, Eric worked with Homeplan Architects in Sydney and ADEPT in Copenhagen. Eric has had an active role in architectural education, tutoring history and theory and architectural communications at the University of Technology. Lucas studied a Masters in Architecture at the University of Technology, Sydney and the Royal Melbourne Institute of Technology. In 2014 he completed a Bachelor of Design in Architecture, graduating as the Australian Institute of Architects First Degree Graduate of the Year. His final project won the UTS/Sydney Olympic Park design competition and was nominated for the Australian Institute of Architects First Degree Design Medal. Prior to joining Andrew Burges Architects in 2014, Lucas worked with Tomahawk / Archer Breakspear and Fieldwork where he worked on a range of residential, institutional, cultural and industrial design projects. Lucas has had an active role in architectural education, tutoring history and theory and architectural communications at the University of Technology. Charles is studying architecture at the University of Sydney, graduating with a Bachelor of Design in Architecture in 2018. Prior to studying architecture, Charles worked as a 3D modeller producing architectural visualisations in Korea. Charles joined Andrew Burges Architects in 2018. He assists the team by preparing quick visualisations during design development, as well as preparing high end visualisations for client communication. Jason supports Andrew Burges Architects in a Practice Management capacity. Jason’s passion lies in business, systems and helping Architects get the most out of their practice. A Chartered Accountant and capable operations manager, Jason has a well rounded approach when it comes to financial control. Ally supports Andrew Burges Architects in a Practice Management capacity, and brings her combined knowledge of architecture and business to the role of Practice Manager.